French drivers are now being issued with new multi-application driving licenses based on contactless smart cards that contain both a public and a private data area. The private area can only be accessed and verified by police and other authorities while the public area can be read by an NFC phone and used by third parties to, for instance, store insurance details and virtual keys. 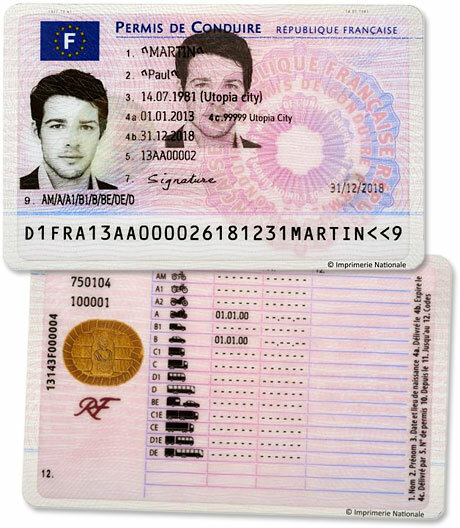 The new licenses are being introduced by Imprimerie Nationale, the French national printing works, and use Gemalto’s Sealys multi-application electronic driving license technology. The polycarbonate driving licenses house an ISO 14443 compliant microprocessor that includes two storage areas, one for public and one for private data. The private space will be used to store driving license data so that it can be verified by police officers in cases involving suspected fraud or other criminality. The space provisioned for public usage will be offered to a variety of service providers and will be able to be read by an NFC phone. “This ‘public space’ can be used to store information such as insurance details, so if a crash happened then an individual could pick up insurance data of the other party by NFC,” says Gemalto.